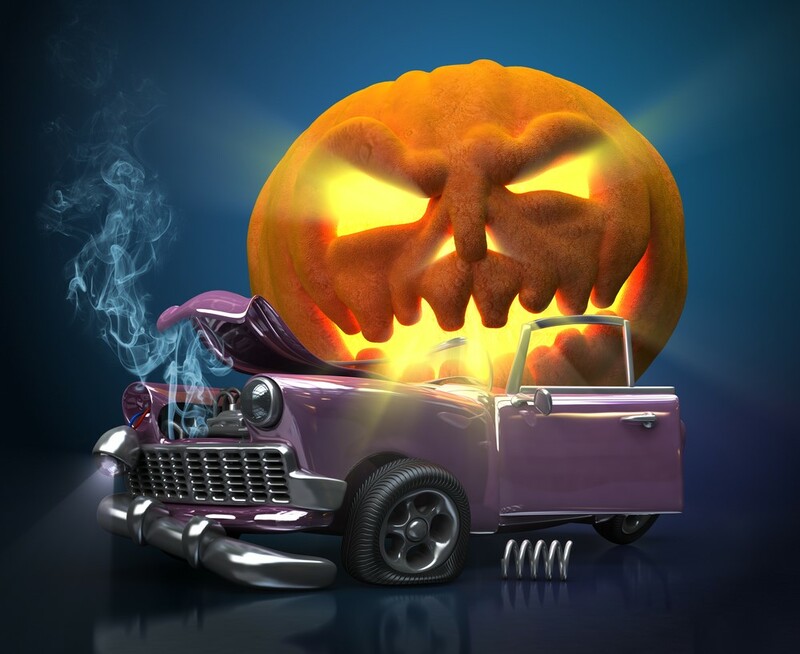 Great Halloween costumes for your … car? The National Retail Federation (NRF) estimates that Americans will spend $9.1 billion on Halloween this year. And you can bet that the largest percentage of that will go toward costumes – some even for the four-wheeled family members. Dressing up your car for Halloween may sound strange to some, but to others, not so much, and DIYing a costume just might be easier that you think. For example, if you own a white Dodge Magnum, print and cut out a couple over-sized Ghostbusters logos, rig up some ghost-busting gear for the roof of your car using things like plastic soda bottles, pool noodles, duct tape and spray paint. And voila! You have your very own Ghostbuster mobile. Any black vehicle can quickly and easily be turned into a bat-mobile. Amazon even has the wings, if you don’t care to make them yourself. Trunks make a great canvas for a multitude of different ideas. They can be the rabbit hole from Alice in Wonderland, or a giant (funny or creepy) mouth or Platform 9¾. Do you have a white Jeep Wrangler? Some black lettering and a golden eagle on the hood and you’ve got your own version of Daisy Duke’s Dixie. Turn the bed of your Ram pickup into a creepy graveyard with some fake grass, skeletons and tombstones. You can even make the tombstones yourself using pieces of Styrofoam and spray paint. 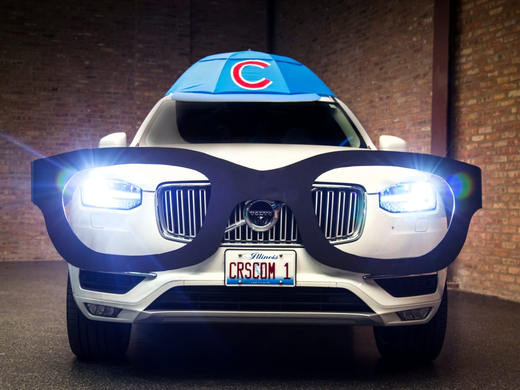 I think the best car costume I’ve ever seen, however, may be the Cars.com Harry Caray car. As someone who has fond memories going to Wrigley and singing along with Harry during the seventh-inning stretch, I have great appreciation for the creator/designer of that costume.